The Valley Voice Visitor Information Page provides information for visitors to the West Kootenays: accommodations and campgrounds, hot springs, museums and art galleries, golf courses, and adventure tourism opportunities. Pick up a copy of the Valley Voice or read it here online. Click here for a PDF version. Live links to listing websites and e-mail contacts. 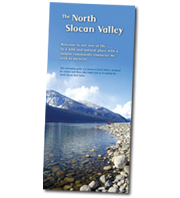 The North Slocan Valley Welcoming Guide is a sketch of local culture, designed for visitors and those who might join us in making the North Slocan their home. Pick up a copy at the Valley Voice or read it here online. 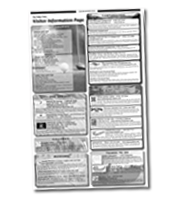 For more information about this brochure contact the Healthy Community Society at healthycommunitysociety@yahoo.ca. Click here for a PDF version. 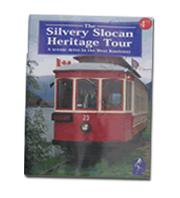 The Silvery Slocan Heritage Tour Guidebook is a guide to a scenic driving tour through the West Kootenay, highlighting the area’s heritage attractions. The book contains more than 25 heritage photos, historical information, maps, descriptions of over 85 points of interest and listings of tourism-related services. It sells for only $4.95 at outlets along the tour route and at the Valley VOICE office, or Contact us to order directly from us today. The Nelson Centennial Book contains historical information and heritage photographs about Nelson, the Queen City of the Kootenays. 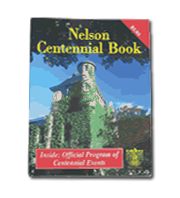 This book celebrates Nelson’s 100th year of incorporation in 1997. The book is available at the Valley VOICE office. Contact us to order directly from us today. 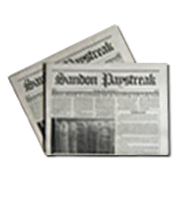 The Sandon Paystreak, in the style of Sandon’s turn-of-the-century newspaper, contains a walking tour map and historical information about the famous ghost town. It is available for $2 at the Sandon Museum and the Valley VOICE office. Contact us to order directly from us today. For more information or to contact us about advertising or submissions.